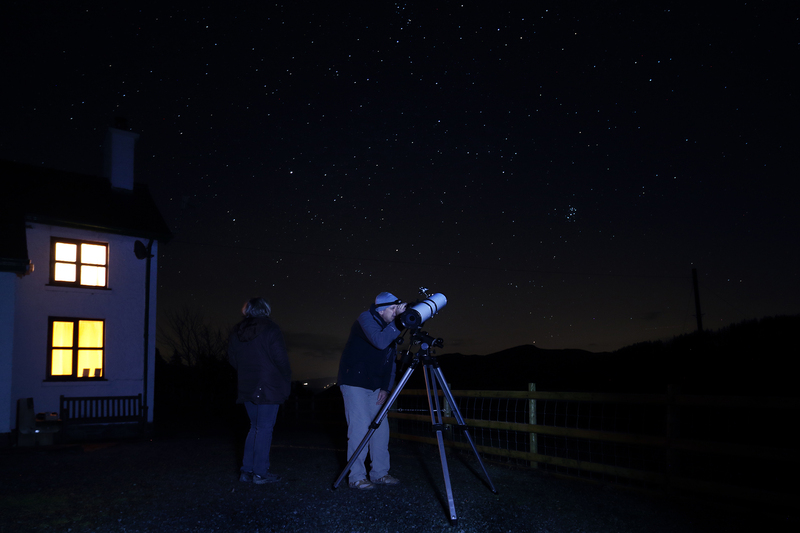 In 2015, the Elan Valley Estate achieved International Dark Sky Park status and became the first privately owned but publicly accessible park in the world to do so. Here on the Estate we were granted the silver-tier status by the International Dark Sky Association (IDA) based in Arizona, USA. This status now means that the entire 45,000 acres of the Elan Valley are protected against light pollution for the benefit of those who live and work here, in addition to the many visitors each year. The status also provides sanctuary for the abundance of wildlife and nature which can be found by day or night here on the estate. "An IDA International Dark Sky Park (IDSP) is a land possessing an exceptional or distinguished quality of starry nights and a nocturnal environment that is specifically protected for its scientific, natural, educational, cultural heritage, and/or public enjoyment. The land may be publicly owned, or privately owned provided that the landowner(s) consent to the right of permanent, ongoing public access to specific areas included in the IDA designation." As well as Dark Sky Parks there are also Dark Sky Communities, Reserves and Sanctuaries. In Wales we also have the privilege of celebrating the Brecon Beacons National Park - Dark Sky Reserve and the Snowdonia National Park - Dark Sky Reserve. 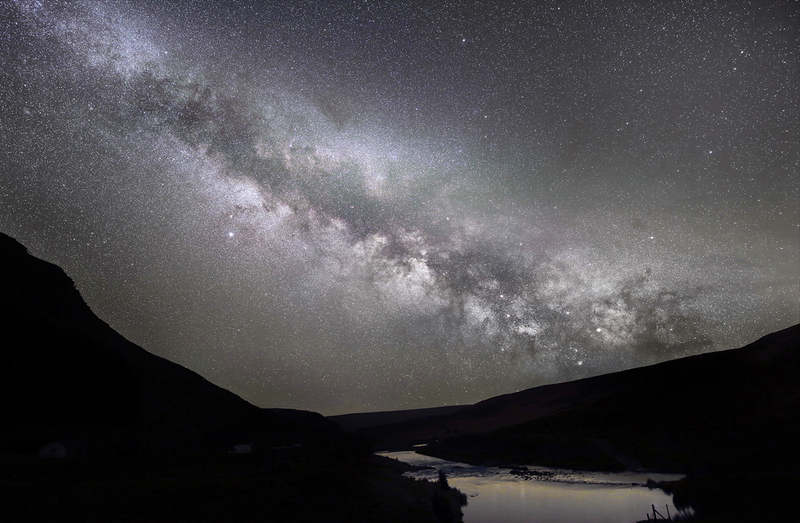 Currently the Elan Valley is the only International Dark Sky Park in Wales. To enjoy our stunning skies all night, we have self-catering holiday cottages for you to stargaze in comfort. Our cottages are located in areas where there is little or no light pollution. Come and stay in some of the most light pollution-free places in Europe! To keep up to date with Dark Sky news please sign-up for our newsletter; the link is at the bottom of this web page. Look out for our monthly Eyes on the Night Sky Guide in our news section to help you get to know what’s up there and assist you in the search for deep sky treasures using binoculars, telescopes and your eyes. For Dark Sky Events, look on our What's On webpage, Facebook (ElanValley ), and Twitter (elan_valley). The Elan Valley has five years from approval to reach 90% dark sky compliance; we are currently at 88.95%. We are therefore working together to reduce light wastage within the Estate and improve our knowledge and understanding to ensure any new and necessary lighting is to the approved standard. Credits: Images kindly supplied by David Tolliday. First image in was taken at the Claerwen Dam and the second was taken at Penglaneinon Farmhouse.